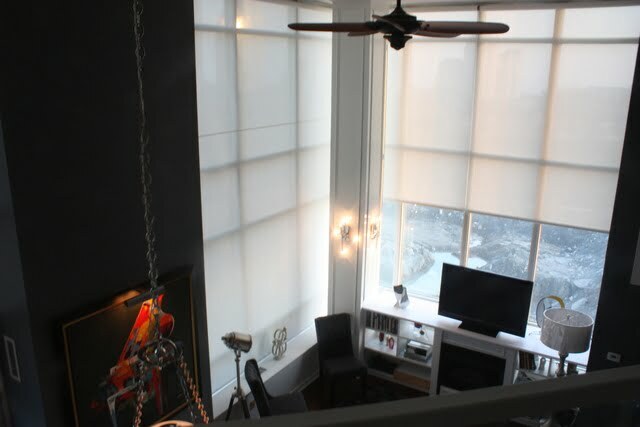 How to Find the Best Motorized Skylight Shades in Toronto? Due to their out-of-reach nature, automated shades are really the only realistic solution for skylights. If you have any doubts in your ability to operate such high-tech equipment, you can relax knowing we’ve simplified it down to the touch of a button or flick of a wall-mounted switch. Our control devices enable you to adjust each shade individually, letting you dictate the amount of light based on your personal preference. If skylights are your first introduction to motorized window shades, you may find yourself eager to bring this convenience to other windows in your home. You love the way your skylights look, but dread the thought of adding something bulky or unsightly. You can put your concerns to rest because our screens match so flawlessly that they’ll appear to one with your window. Our shades defy gravity with their ability to move smoothly from side-to-side or bottom-to-top–a feature made possible due to our powerful (and wonderfully quiet) motors. If you need to see it to believe it, then explore our gallery of skylight shades– you’ll be impressed at how harmoniously we combine tech and design. Though complete opaque shades are a popular choice for skylights, we have a plethora of material options available for a customized look. If you have numerous skylights but want to skip the sunblock, then our solar shades made of UV-rated materials might interest you. We also have weaves of varying transparency so you can decide how much light you’d like to let in (or block out). It’s also worth mentioning that we carry colored panels, printed fabric, and weaves for those who want to explore a more original look. Just because your skylights aren’t a conventional shape and depth, doesn’t mean you can’t enjoy the benefits of motorized skylight shades. If your ceiling windows are angled, arched, deep-set, or of a different shape, the skills and experience of our team can handle it. We can adapt your shades to open and close in the direction that works best with the sun’s angle, or set them on a timer that will adjust as the light changes position. We’re all about doing things the smart way, and these adaptations ensure you’re getting the most out of your blinds regardless of your window composition. We’re experts at coming up with flexible solutions, and that includes knowing how to maneuver around any kind of window. The natural light you enjoy so much during the cooler months can quickly turn into oppressive heat in the midst of summer. Direct sunlight will warm your interior within a short amount of time, but you can keep your space from feeling like the inside of an oven with blackout shades. This addition will go a long way in keeping your cooling costs down and your interior more comfortable for pets, plants, and humans alike. The ability to block out light during peak sun hours can also help protect indoor assets such as upholstery, artwork, or carpets. With the right shades, you can enjoy morning and evening sunlight while taming heat during the hottest parts of the day without it costing a fortune. 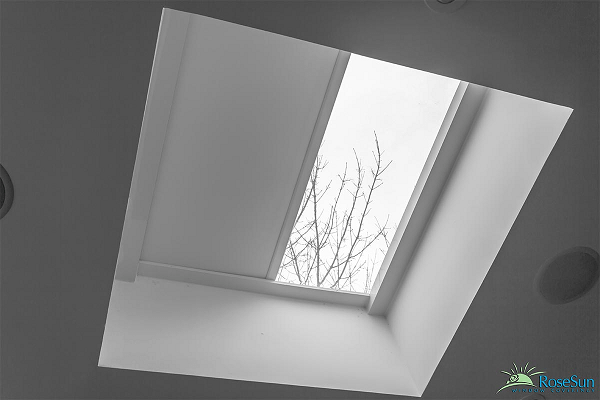 As you can see, we’ve thought of everything when it comes to skylight solutions. We understand the importance of having reliable and effective shading options for hard-to-reach windows, especially those that let in intense light. We also believe that you should have just as many options for your ceiling windows as any other window in your home. If you’d like to learn more about our process and what we can do for your particular windows, contact us and we’ll be able to provide more information.